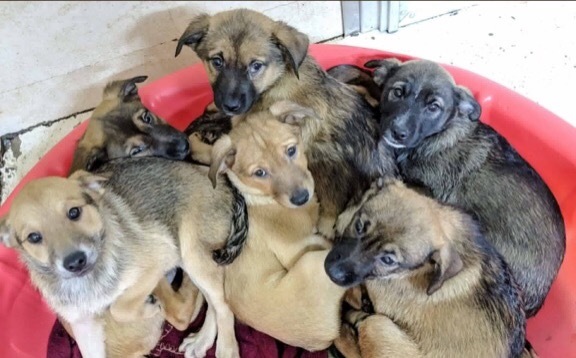 These seven little Mountain puppy cuties needed some help getting from their shelter To rescue so that they will be safe. Thank you so much for giving them a little something for their wallets so they can cover their vetting fees and can post their bail and leave the shelter. And thank you to the incredible Doggone Happy Animal Rescue for giving these babies a soft place to land and a bright future.